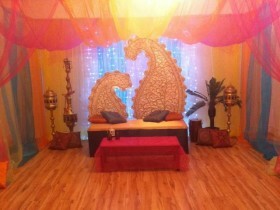 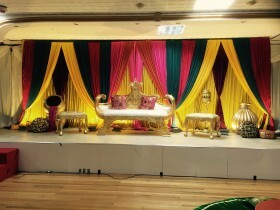 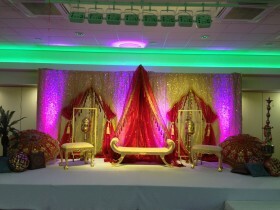 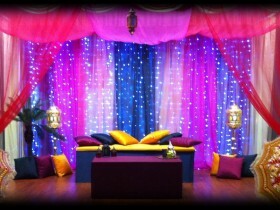 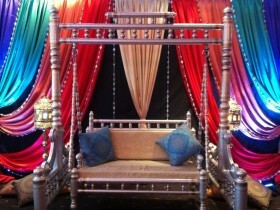 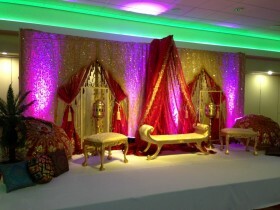 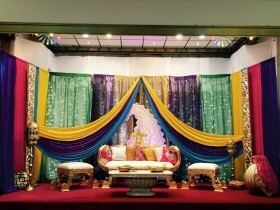 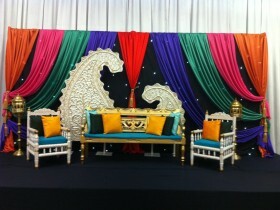 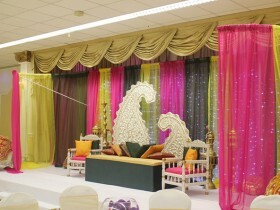 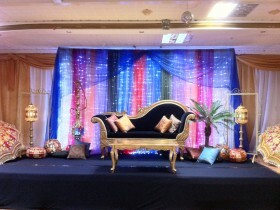 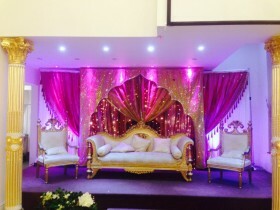 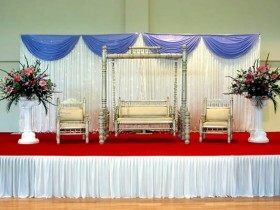 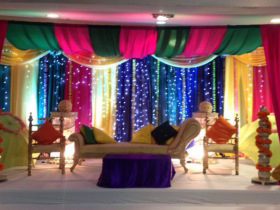 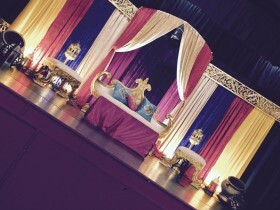 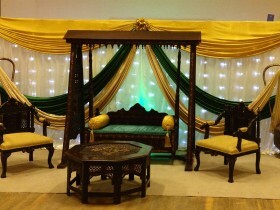 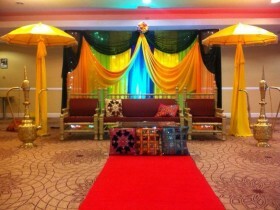 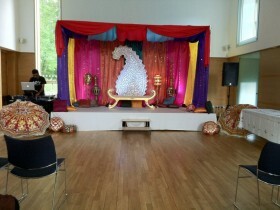 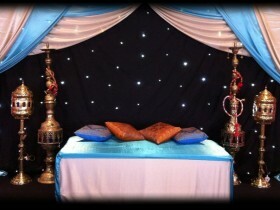 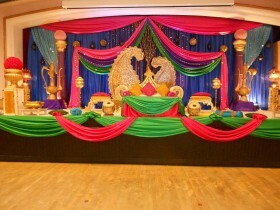 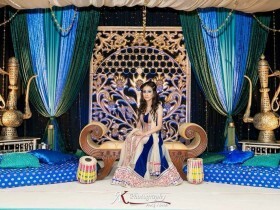 With international links to external suppliers, we have expanded on our mehndi stages for our customers. 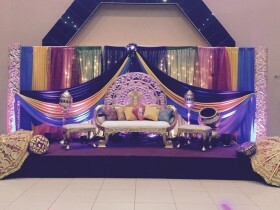 With our attention to detail, we can infuse the colours of your choice to create an eye catching mehndi stage which you and your guests at your mehndi will be fond of. 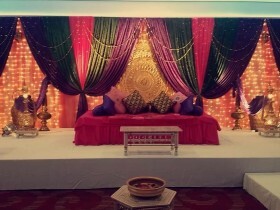 With the right lighting and bright mehndi colours, we can create traditional, modern and sleek looks from the mehndi stage that you want. 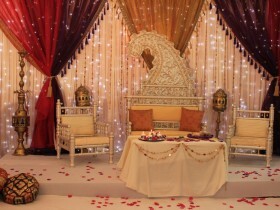 Pillows, petals, flowers, cushions to traditional ornaments, umbrellas and rich embroidery cloth – we are certain that we have a mehndi stage look that we can bring to life just for you. 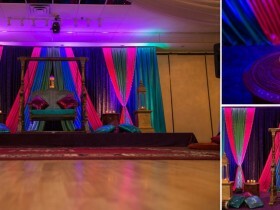 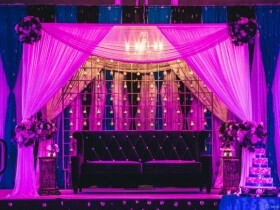 We also have the ability to create Arabian and Moroccan stages which bring a magical atmosphere to any event.